Completely updated, move-in ready CBS townhome with 3BR/2.5BA located in the private gated community of Woodbine. Desirable features include tiled flooring throughout the downstairs and brand new carpet upstairs, volume ceilings, large windows and sliding glass doors, paver driveway, open-plan kitchen with a spacious pantry, hurricane shutters, and a large master suite with a separate tub and shower in the bath. Amenities include 3 pools, 4 tennis courts, fitness center, club house, spa, volleyball courts, and more. 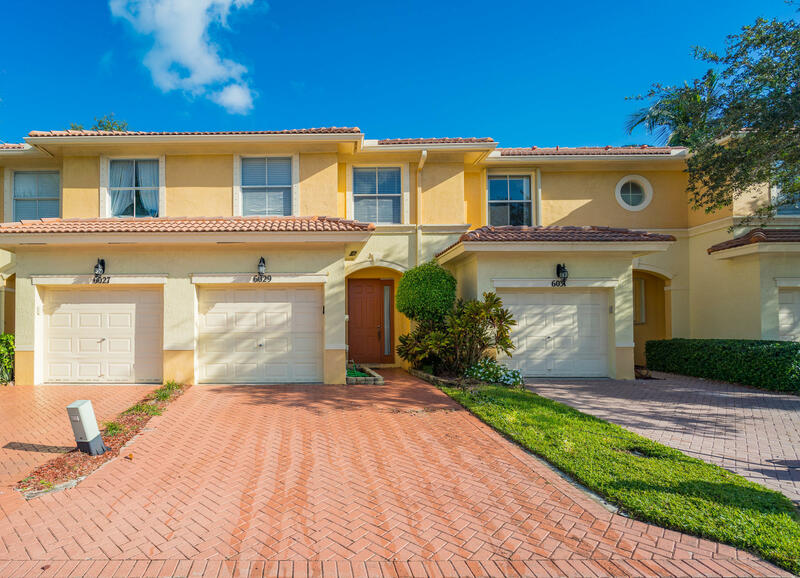 Just minutes to shopping, dining, several malls, entertainment, PBIA, and major highways.